7-28-11 CELEBRATING BIG!!!!! and LOTS of pics and short videos! CELEBRATING BIG!!!!!!!! Today is ONE FULL YEAR that Ally is hospital FREE!!!!!!! 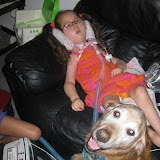 She has never made it this long and we are sooooo thankful to her trach in keeping her healthier and also her home nurses who have helped us! On Tuesday, August 2nd is also her 1/2 Birthday. She will be 5.5 years old!!!! 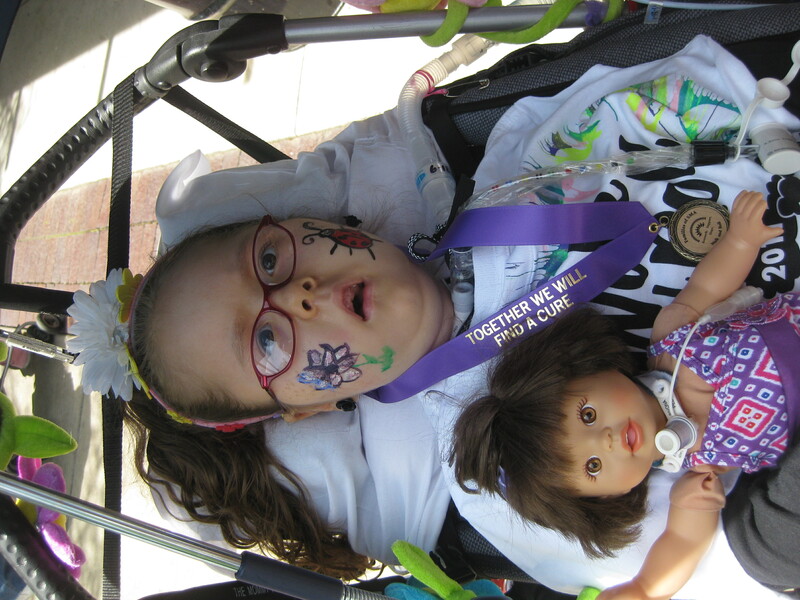 This is HUGE for an SMA Type 1 child who was given less than 2 years to live. ? ?Party plans?? If anyone would LOVE to give Ally a small 1/2 Birthday or 1 year Hospital FREE celebratory gift, we are starting a collection of colorful shoelaces for her!!!! 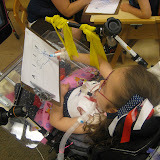 Sounds strange, but we are now using shoe laces to tie/hold her trach in place around her neck. As you know, Ally is super, super fashionable, so we need ALL different colors and designs. Regular length is fine and I’ve even gotten her first few at the Dollar Store. We also collect hair bows and earrings for my sweetie. Don’t feel obligated, but if you see something cute, we’d love to add it to her new collection! Thanks in advance to anyone who’d like to add to these collections. We’ve been Super, Super BUSY this summer!!! Ally had summer school till July 21st and is now on vacation until September 6th, when she begins KINDERGARTEN!!!! Can you believe my little girl is starting KINDERGARTEN?! Miracles DO Happen and there is Power in Prayer! Ally will be attending Kindergarten at Hanson Park School. She will have a one-on-one aide and will attend with a home nurse and/or me. 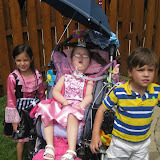 School is full day, but we will transition as Ally tolerates and see how well she does. 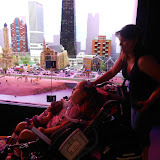 We are lucky that the Speech Pathologist and OT already have worked with Ally in our home. 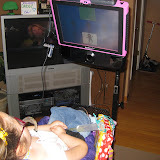 Ally has also started to go to Shriners Hospital and they are helping us with power wheelchair goals and finding an appropriate controller. 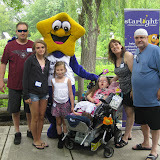 This week they helped adjust her braces (AFO shoes and TLSO to help her sit straighter). 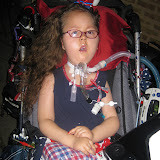 Kristyn turned 15 years old on July 14th. She got her braces off and has been busy with her first boyfriend, friends, and cheerleading. 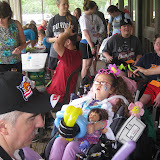 Melissa began cheerleading for the first time this week too! I’m so happy she has something that she can be involved with that brings her great joy. Billy and I celebrated our 14th Wedding Anniversary on July 25th!!! In November, it will be 20 years that we have been together through thick and thin. I LOVE him more each day (well most days – LOL) and I’m so grateful to have him along for this crazy journey of life. Enjoy some of our newer albums. CLICK on the covers to see ALL the pics and some short videos.